Free 1-hour webinar, delivered from a CMO's perspective! Events are taking up ever-larger portions of marketing budgets; Forrester Research data shows that B2B organisation are now spending an average of 24% of their marketing budgets on events. 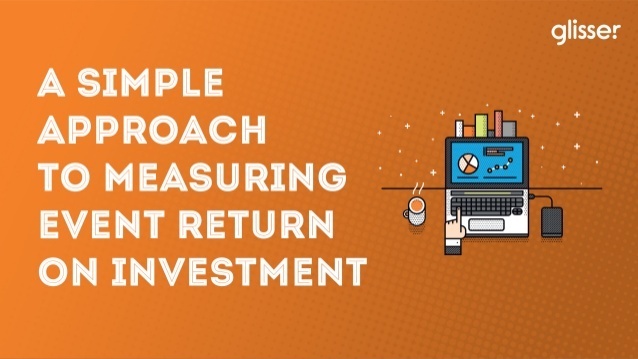 Yet as ROI has become an essential everyday calculation for other marketing channels, measurement of the immense value provided by events has lagged. However, there are new tools and approaches that make an accurate ROI calculation attainable for any event professional. The webinar is delivered by Mike Piddock, Founder and CEO of Glisser. You'll learn from his experience as a Chief Marketing Officer in the telecom and financial services sector, where he measured the ROI of hundreds of events per year.